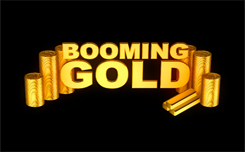 Booming Gold is a 20-line slot machine with gold and luxury themes from the booming games company. Booming Gold – a standard slot machine from the manufacturer booming. The slot is equipped with all necessary and recognizable functions, in the form of free spins and the super rell function, where, on the fourth game drum, only wild symbols appear, or the scatter symbols that activate the bonus game free spins. The design of the booming gold slot machine is made in a minimalistic style, the game screen is located in the background of the night city of Las Vegas. On the playing drums you will find everything that is connected with luxury and gold: Ingots with gold, expensive cars, gold jewelry, a beautiful girl in a gold bikini and a pile of gold coins. Wild symbol in the game is a golden smile, a symbol, can complement combination, and significantly increase your chances of a solid win. Scatter symbol is a pendant in the form of the symbol “$”, it activates free spin. If there is at least three scatters, the bonus game with 10 free spins is activated. 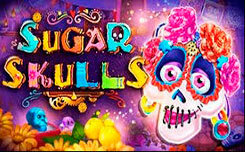 During free spins, additional wild symbols will appear on the game reels, as well, you will have the chance to get an unlimited amount of free spins when the scatter symbols appear during a free game.